Sheila Unglaub and Marion Shropshire scored 0.50 masterpoints with a 57.5% game at ACBL Unit 380 - Las Cruces. See full results of this game. Julie Reiser and Billie Edington scored 0.70 masterpoints with a 57.71% game at ACBL Unit 380 - Las Cruces. See full results of this game. Gary Williams and David Gose scored 0.35 masterpoints with a 49.69% game at ACBL Unit 380 - Las Cruces. See full results of this game. Rob Van Ekeren and Gail Van Ekeren scored 1.00 masterpoints with a 56.88% game at ACBL Unit 380 - Las Cruces. See full results of this game. Robert Francis and Dave Allen scored 0.70 masterpoints with a 54.53% game at ACBL Unit 380 - Las Cruces. See full results of this game. Linda Spengler and LuRae Lerdal scored 1.00 masterpoints with a ★62.04%★ game at ACBL Unit 380 - Las Cruces. See full results of this game. Susan Oates and Stephanie Morgan scored 0.50 masterpoints with a 56.02% game at ACBL Unit 380 - Las Cruces. See full results of this game. Billie Edington and Robert Francis scored 0.50 masterpoints with a 53.95% game at ACBL Unit 380 - Las Cruces. See full results of this game. Harvey Gordon and Stuart Peale scored 0.24 masterpoints with a 49.94% game at ACBL Unit 380 - Las Cruces. See full results of this game. Lois Applebaum and Lonnie Ludeman scored 1.00 masterpoints with a 56.97% game at ACBL Unit 380 - Las Cruces. See full results of this game. David Gose and John Randall scored 0.50 masterpoints with a 51.73% game at ACBL Unit 380 - Las Cruces. See full results of this game. Sharyn Shropshire and Kathleen Kryway scored 1.00 masterpoints with a ★60.02%★ game at ACBL Unit 380 - Las Cruces. See full results of this game. LuRae Lerdal and C Jean Wiborg scored 0.70 masterpoints with a 59.72% game at ACBL Unit 380 - Las Cruces. See full results of this game. John Lindeman and Marion Shropshire scored 0.50 masterpoints with a 59.95% game at ACBL Unit 380 - Las Cruces. See full results of this game. Bill Carrell and Meg O'Leary scored 1.00 masterpoints with a ★65.28%★ game at ACBL Unit 380 - Las Cruces. See full results of this game. Billie Edington and Roy Falck scored 0.70 masterpoints with a ★64.58%★ game at ACBL Unit 380 - Las Cruces. See full results of this game. Linda Spengler and Dan Stockwell scored 1.00 masterpoints with a ★69.44%★ game at ACBL Unit 380 - Las Cruces. See full results of this game. George McCoy and Stephanie Morgan scored 0.50 masterpoints with a 59.49% game at ACBL Unit 380 - Las Cruces. See full results of this game. Lois Applebaum and June Sanchez scored 0.28 masterpoints with a 51.74% game at ACBL Unit 380 - Las Cruces. See full results of this game. Bill Carrell and Linda Spengler scored 0.77 masterpoints with a ★62.6%★ game at ACBL Unit 380 - Las Cruces. See full results of this game. Sharyn Shropshire and Marion Shropshire scored 1.56 masterpoints with a 57.94% game at ACBL Unit 380 - Las Cruces. See full results of this game. Roy Falck and John Lindeman scored 2.08 masterpoints with a 59.52% game at ACBL Unit 380 - Las Cruces. See full results of this game. Kathleen Kryway and Meg O'Leary scored 0.84 masterpoints with a 52.91% game at ACBL Unit 380 - Las Cruces. See full results of this game. Billie Edington and Stephanie Morgan scored 1.12 masterpoints with a 54.23% game at ACBL Unit 380 - Las Cruces. See full results of this game. David Gose and Joanne Dunkel scored 1.17 masterpoints with a 56.25% game at ACBL Unit 380 - Las Cruces. See full results of this game. June Sanchez and Sandra Hiss scored 0.50 masterpoints with a 55.69% game at ACBL Unit 380 - Las Cruces. See full results of this game. Barbara Houseknecht and Lois Applebaum scored 0.70 masterpoints with a 55.26% game at ACBL Unit 380 - Las Cruces. See full results of this game. LuRae Lerdal and Roy Falck scored 0.50 masterpoints with a 54.43% game at ACBL Unit 380 - Las Cruces. See full results of this game. Bill Carrell and Gail Van Ekeren scored 0.35 masterpoints with a 55.05% game at ACBL Unit 380 - Las Cruces. See full results of this game. Joanne Dunkel and Meg O'Leary scored 0.70 masterpoints with a 56.99% game at ACBL Unit 380 - Las Cruces. See full results of this game. Bill Carrell and Gail Van Ekeren scored 0.40 masterpoints with a 58.93% game at ACBL Unit 380 - Las Cruces. See full results of this game. Paul Gettys and Alison Mann scored 0.68 masterpoints with a ★61.9%★ game at ACBL Unit 380 - Las Cruces. See full results of this game. Linda Spengler and LuRae Lerdal scored 0.68 masterpoints with a ★61.9%★ game at ACBL Unit 380 - Las Cruces. See full results of this game. David Gose and George McCoy scored 0.34 masterpoints with a 49.4% game at ACBL Unit 380 - Las Cruces. See full results of this game. Evelyn Colson and Meg O'Leary scored 0.70 masterpoints with a 58.05% game at ACBL Unit 380 - Las Cruces. See full results of this game. Bill Carrell and Billie Edington scored 1.00 masterpoints with a ★69.04%★ game at ACBL Unit 380 - Las Cruces. See full results of this game. Stuart Peale and Anne Forrester scored 0.35 masterpoints with a 52.55% game at ACBL Unit 380 - Las Cruces. See full results of this game. Sheila Unglaub and John Lindeman scored 0.35 masterpoints with a 52.55% game at ACBL Unit 380 - Las Cruces. See full results of this game. Bill Carrell and Linda Spengler scored 0.46 masterpoints with a 56.67% game at ACBL Unit 380 - Las Cruces. See full results of this game. Stephanie Morgan and Paul Gettys scored 0.28 masterpoints with a 47.92% game at ACBL Unit 380 - Las Cruces. See full results of this game. Meg O'Leary and Kathleen Kryway scored 0.25 masterpoints with a 52.92% game at ACBL Unit 380 - Las Cruces. See full results of this game. Julie Reiser and Alison Mann scored 0.40 masterpoints with a 53.33% game at ACBL Unit 380 - Las Cruces. See full results of this game. Gary Williams and Marion Shropshire scored 1.30 masterpoints with a ★65.42%★ game at ACBL Unit 380 - Las Cruces. See full results of this game. Eddie Gilbert and Roy Falck scored 0.45 masterpoints with a 54.4% game at ACBL Unit 380 - Las Cruces. See full results of this game. Bill Carrell and Gail Van Ekeren scored 0.90 masterpoints with a ★65.97%★ game at ACBL Unit 380 - Las Cruces. See full results of this game. LuRae Lerdal and Mary McMillin scored 0.63 masterpoints with a 55.79% game at ACBL Unit 380 - Las Cruces. See full results of this game. Susan Oates and Dave Allen scored 0.63 masterpoints with a 59.26% game at ACBL Unit 380 - Las Cruces. See full results of this game. Kathleen Kryway and Meg O'Leary scored 0.34 masterpoints with a 51.62% game at ACBL Unit 380 - Las Cruces. See full results of this game. Marty Poel and Gail Van Ekeren scored 0.50 masterpoints with a 54.17% game at ACBL Unit 380 - Las Cruces. See full results of this game. Eddie Gilbert and Dave Allen scored 0.35 masterpoints with a 53.24% game at ACBL Unit 380 - Las Cruces. See full results of this game. Joanne Dunkel and Lois Applebaum scored 0.65 masterpoints with a 59.78% game at ACBL Unit 380 - Las Cruces. See full results of this game. Mary McMillin and Sheila Unglaub scored 0.46 masterpoints with a 59.29% game at ACBL Unit 380 - Las Cruces. See full results of this game. Harold Zucconi and Linda Spengler scored 0.26 masterpoints with a 54.01% game at ACBL Unit 380 - Las Cruces. See full results of this game. John Lindeman and Marion Shropshire scored 0.91 masterpoints with a ★62.98%★ game at ACBL Unit 380 - Las Cruces. See full results of this game. Dave Allen and C Jean Wiborg scored 0.31 masterpoints with a 54.33% game at ACBL Unit 380 - Las Cruces. See full results of this game. Billie Edington and Robert Hawkins scored 1.30 masterpoints with a ★66.99%★ game at ACBL Unit 380 - Las Cruces. See full results of this game. 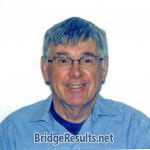 Stuart Peale and Harvey Gordon scored 1.30 masterpoints with a ★63.3%★ game at ACBL Unit 380 - Las Cruces. See full results of this game. Sharyn Shropshire and Sandra Hiss scored 0.91 masterpoints with a ★60.42%★ game at ACBL Unit 380 - Las Cruces. See full results of this game. Bill Carrell and Lonnie Ludeman scored 0.44 masterpoints with a 57.05% game at ACBL Unit 380 - Las Cruces. See full results of this game. Eddie Gilbert and Roy Falck scored 0.46 masterpoints with a 54.65% game at ACBL Unit 380 - Las Cruces. See full results of this game. Linda Spengler and Sandra Hiss scored 0.42 masterpoints with a 53.47% game at ACBL Unit 380 - Las Cruces. See full results of this game. Bill Carrell and Meg O'Leary scored 0.34 masterpoints with a 53.13% game at ACBL Unit 380 - Las Cruces. See full results of this game. Roy Falck and John Lindeman scored 1.50 masterpoints with a ★★75.69%★★ game at ACBL Unit 380 - Las Cruces. See full results of this game. Bill Carrell and Linda Spengler scored 0.84 masterpoints with a ★63.11%★ game at ACBL Unit 380 - Las Cruces. See full results of this game. Meg O'Leary and Kathleen Kryway scored 1.20 masterpoints with a ★64.59%★ game at ACBL Unit 380 - Las Cruces. See full results of this game. LuRae Lerdal and Marion Shropshire scored 0.50 masterpoints with a 54.63% game at ACBL Unit 380 - Las Cruces. See full results of this game. Eddie Gilbert and John Lindeman scored 1.00 masterpoints with a ★64.58%★ game at ACBL Unit 380 - Las Cruces. See full results of this game. David Gose and Terry T. Brown scored 1.00 masterpoints with a ★68.98%★ game at ACBL Unit 380 - Las Cruces. See full results of this game. Bill Carrell and Gail Van Ekeren scored 0.50 masterpoints with a 59.72% game at ACBL Unit 380 - Las Cruces. See full results of this game. Billie Edington and Harvey Gordon scored 0.55 masterpoints with a 54.17% game at ACBL Unit 380 - Las Cruces. See full results of this game. Stuart Peale and Susan Oates scored 0.77 masterpoints with a 59.26% game at ACBL Unit 380 - Las Cruces. See full results of this game. Harold Zucconi and Gail Van Ekeren scored 0.94 masterpoints with a 55.09% game at ACBL Unit 380 - Las Cruces. See full results of this game. LuRae Lerdal and Cliff Denton scored 0.39 masterpoints with a 51.62% game at ACBL Unit 380 - Las Cruces. See full results of this game. Kathleen Kryway and Lonnie Ludeman scored 0.55 masterpoints with a 56.71% game at ACBL Unit 380 - Las Cruces. See full results of this game. Linda Spengler and Roy Falck scored 0.39 masterpoints with a 55.56% game at ACBL Unit 380 - Las Cruces. See full results of this game. David Gose and James Liner scored 0.80 masterpoints with a ★61.61%★ game at ACBL Unit 380 - Las Cruces. See full results of this game. Mary McMillin and Roy Falck scored 0.40 masterpoints with a 56.85% game at ACBL Unit 380 - Las Cruces. See full results of this game. Bill Carrell and Meg O'Leary scored 0.80 masterpoints with a 56.25% game at ACBL Unit 380 - Las Cruces. See full results of this game. Sam Resch and John Lindeman scored 1.40 masterpoints with a ★68.91%★ game at ACBL Unit 380 - Las Cruces. See full results of this game. Bill Carrell and Linda Spengler scored 0.98 masterpoints with a ★61.22%★ game at ACBL Unit 380 - Las Cruces. See full results of this game. Linda Spengler and Roy Falck scored 1.64 masterpoints with a 59.49% game at ACBL Unit 380 - Las Cruces. See full results of this game. Cliff Denton and Gail Van Ekeren scored 2.19 masterpoints with a ★63.43%★ game at ACBL Unit 380 - Las Cruces. See full results of this game. John Lindeman and Marion Shropshire scored 0.51 masterpoints with a 51.16% game at ACBL Unit 380 - Las Cruces. See full results of this game. David Gose and Joanne Dunkel scored 0.51 masterpoints with a 51.39% game at ACBL Unit 380 - Las Cruces. See full results of this game. Kathleen Kryway and Meg O'Leary scored 2.92 masterpoints with a ★67.13%★ game at ACBL Unit 380 - Las Cruces. See full results of this game. Stephanie Morgan and Robert A. Verstraete scored 0.42 masterpoints with a ★★70%★★ game at ACBL Unit 380 - Las Cruces. See full results of this game.